WASHINGTON — On Wednesday, Congresswoman Deb Haaland (NM-01) introduced the Bipartisan PROGRESS for Indian Tribes Act, a bill that aims to uphold the government-to-government relationship and fulfill the trust responsibility that the federal government has with Tribal Nations. 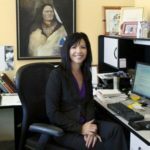 “Self-governance has been extraordinarily beneficial for Tribes to manage successful programs with the flexibility to utilize federal funds in a way that best fits the needs of their communities. Tribes are their own best stewards. 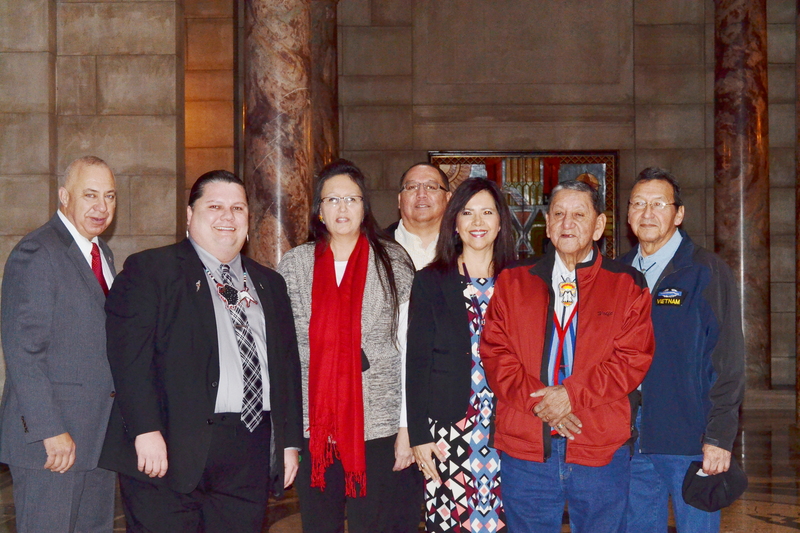 However, serious gaps continue to exist that hinder the full exercise of Tribal self-governance, which is why I am introducing the PROGRESS for Indian Tribes Act,” said Rep. Deb Haaland, Co-Chair of the Native American Caucus. In 1975, Congress extended this authority through the enactment of Title IV of the Indian Self-Determination and Education Assistance Act (ISDEAA) in order to give Tribal Nations the ability to exercise their inherent right to self-governance by giving them the responsibility to administer their own programs, services, functions, and activities that were traditionally managed by federal agencies like the Bureau of Indian Affairs (BIA) and the Department of Health and Human Services (DHHS). “Ohkay Owingeh, is one of the pueblos who is part of the Sefl-Governance on the DOI side. Ohkay Owingeh is currently considering IHS Self-Governance for portions of the Tribe’s programs. In the country Tribes in both IHS and DOI Self-Governance have achieved great success. Significant differences between the Title IV and Title V amendments have forced Self-Governance Tribes to operate under two separate sets of legislative and administrative requirements. The PROGRESS for Indian Tribes Act would largely reconcile these differences, streamline the Self-Governance process, improve efficiencies, and strengthen reservation economies during fiscally challenging times with declining Federal appropriations and eroding Tribal base funding. Ohkay Owingeh supports the passage of the PROGRESS Act It is a top legislative priority of the Self-Governance Tribes. There are at least four other Self-Governance Pueblos who would also benefit from this Act,” said Head Councilman Joe Garcia of Ohkay Owingeh. “After well over 15 years, we finally feel that these Congressional leaders are proposing legislation to advance our Self-Governance Tribal/Federal relations to the next level. We are optimistic that their collective support will expand upon the current legislative authority and further empower Tribal nations to rightfully govern their citizens and communities for the next seven generations,” said W. Ron Allen, Tribal Chairman/CEO of Jamestown S’Klallam Tribe. Establishes clear payment schedules and procedures for involved parties. 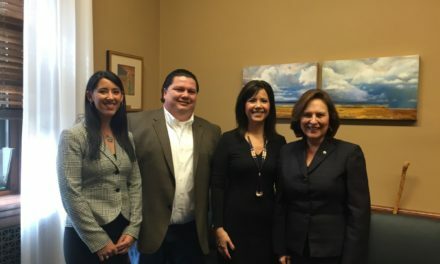 The PROGRESS for Indian Tribes Act companion bill has passed the U.S. Senate Committee on Indian Affairs and awaits a vote on the U.S. Senate Floor. 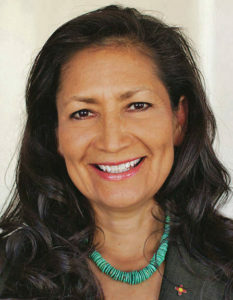 The U.S. House companion bill led by Congresswoman Deb Haaland is co-led by Reps. Tom Cole (OK-4), Tulsi Gabbard (HI-02), Ruben Gallego (AZ-07), Denny Heck (WA-10), and Don Young (AK-AL). NCIA Executive Director Meets with Senators and Congressmen in Washington D.C.